This seems like Elecraft's first Amplifier. 500 watts output on all HF bands with about 40 watts input. 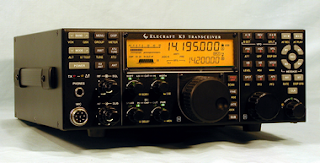 The perfect companion for the Elecraft K3 Transceiver. More pictures here (external) and here (internal), manual here.